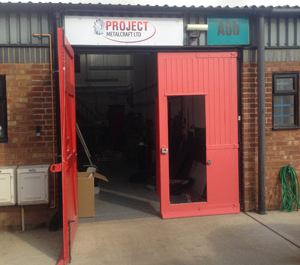 Project Metalcraft are a specialist Metal Craft company based in Barton-Le-Clay in Bedfordshire. We are accessible to customers in Luton, Bedford and Milton Keynes. The Company Director Rob Bishop has over 27 years experience in fine limit and sheet metal work. Project Metalcraft also specialises in welding aluminium including repairing cracked alloy wheels and stainless steel as well as one off prototype work. Project Metalcraft Ltd are registered with HETAS who are the official body recognised by Government to approve biomass and solid fuel domestic heating appliances, fuels and services.